The first Marquess of Bute rebuilt Kerrycroy in 1803 as a model village. At the same time an old quay was rebuilt along a gentle curve that provided a more sheltered anchorage. During much of the 19th century Kerrycroy had a daily post-boat ferry which connected to Largs; it was the most important link to the mainland before the new pier at Rothesay was built in 1822. 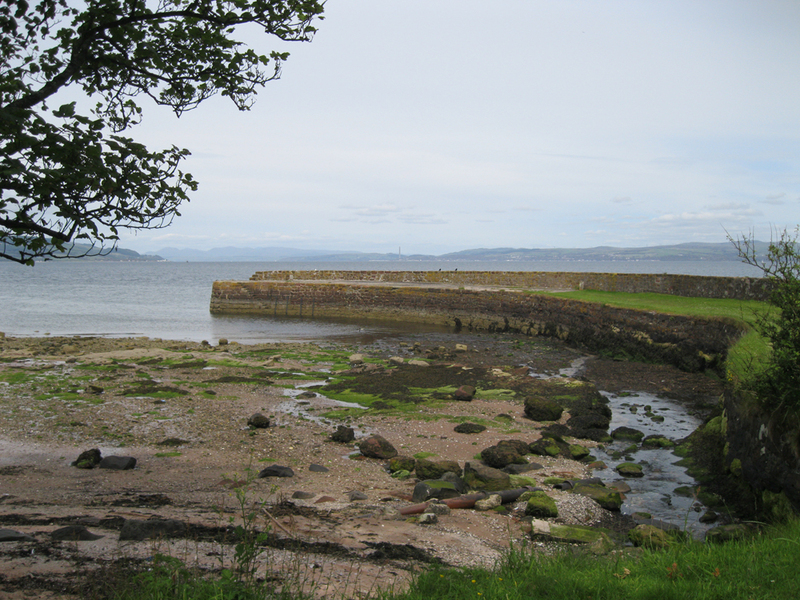 Even earlier, in the sixteenth century, there had been a ferry to Portencross on the Ayrshire coast. Newadays the pier is seldom used.